This week while the temperatures were hovering just above freezing, I decided to conduct a IMU calibration on my DJI Phantom 4 Pro. After completing the calibration, I wondered what the rest of the drone community was up to, and reached out to find out all of the best practices! What is a drone’s IMU? IMU (inertial measurement unit) calibration is one of those things that is critical to keeping your drone straight and level. The IMU is a sensor that detects motion along a horizontal plane, as well as increases and decreases in altitude. Having a tightly calibrated IMU is critical to having the drone know what zero motion feels like. Without a good IMU calibration, your drone will potentially think that it’s drifting off in a certain direction, and then create an opposite input. Yeah, it’s going to become very difficult to control and won’t be stable in flight at all! If you don’t want to read about how to properly calibrate your IMU, check out the podcast where I lay it all out for you! If you like what you hear, be sure to subscribe to The Drone Trainer Podcast wherever you get your audio! This week with the temperatures just above zero, I conducted a IMU calibration in the middle of a wide open field without any interference. It’s important to do them without any interference, as a bad calibration can lead to disaster once in the air and away from the “calibrated” interference. Same goes for the compass, but I’ll leave that for a separate discussion. During the calibration, the DJI tutorial showed the drone with the props removed, however I did mine with the props still attached. There are three reasons that I can think of that they’d recommend props removed during the calibration. First is if the drone was to somehow start up during calibration, you likely wouldn’t have control. Second is that you may not get the drone totally level during calibration. And finally, depending on the composition of your props, there is a possibility they could interfere with a clean IMU calibration. Anyway, even with the props on I was able to precisely calibrate the IMU. I was further able to confirm this by taking the drone to another location with a lot of interference, and was still able to fly it without any issue at all. Thats a good thing to remember if you’re looking for a place to calibrate your drone’s IMU. Choose a location without any interference, or as little as possible, and then move to your area of higher interference to fly. Don’t do it the other way around, as I mentioned above, it can cause all kinds of problems. 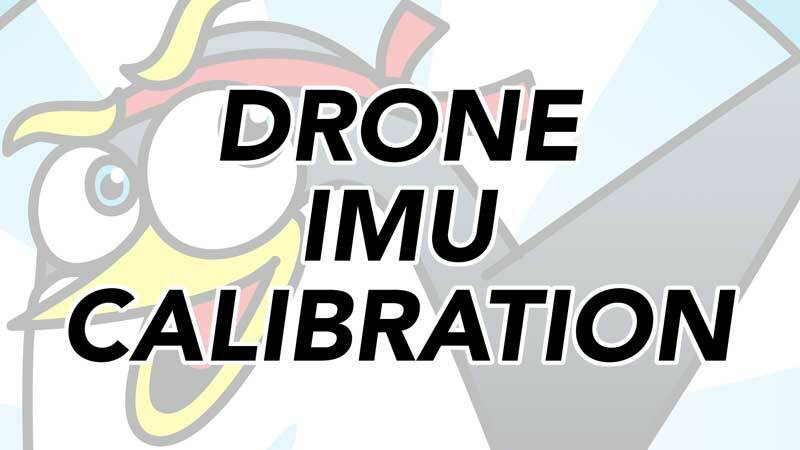 Knowing that it’s always best to share information so that we can all improve, I decided to ask my drone community what their best practices are when it comes to IMU calibration. There are a variety of responses and techniques, and I’m sure you can pick up a little tidbit of info from each one. Let’s see what the community has to say. Hey Chris, I calibrate with props on and only do so if the app indicates I need to. I calibrate my IMU and compass before every flight just Incase of the magnetic interference in the airwaves that might have affected it during previous flights. I calibrated the IMU on my Mavic 2 Pro for the first time about a week ago without the props installed. Although the DJI software was not asking me to perform this calibration, I was hoping it might have an affect on my altitude reading in my metadata. For some reason which I don’t understand, GPS altitude is not recorded in my metadata. All my images have an altitude reading of 0.00 meters. So far, DJI engineers have not been able to resolve this issue. I have a friend which has the same issue. I like your drone picture with your propellers on ! Good idea but what about surface level, according to DJI surface has to be perfectly level. I did not calibrate IMU since last year in January, when I bought my phantom 4 pro. Still my bird fly ok, without shaking, vibrating and is not drunk yet! Got my P4PV2 in January and have not yet calibrated the IMU. It’s working beautifully! To the IMU and compass settings, I do them whenever I am at a new venue / area, just to be safe, with the props on. I have calibrated twice on mavic 2 zoom since sep 18 props off. I have a Mavic 2 Pro. Lately DJIGo has been telling me to recalibrate the drone at every new location I fly at. It says compass error and it needs to recalibrate before my first flight, then I pack it up and drive to another location and it says it needs it again. I’m not sure if there is a problem with drone or if there is a lot of magnetic interference at my locations. I have been flying at crack of dawn then later in day, so maybe it’s a temperature thing? I always do it with props on. I have older systems and when I first started flying they recommended calibrating when you’re 50 miles from the last spot. So if I’m flying in the research farm and I know I calibrated and flew there last time, I don’t calibrate, but if I can’t remember I do. If I venture out, I usually do it. To what I understand the newer DJI drones don’t need it unless it’s prompted, or am I wrong? And I’ve always done it with the props on just because it’s takeoff time afterwards. Hey Boss, Man, that snow looks GREAT! Usually, I will calibrate when I change (severe) locations.. Meaning when I go from Florida to Georgia, I will calibrate. If I am staying here in the same area (county), I usually do not calibrate my personal bird. Now, When I am doing a Police Mission, I ALWAYS DO!! This is to make sure I have no unforeseen issues and have taken every precaution. I wrote it in my Policy And Procedures as well as Training Manual for the Department. I have the IMU, compass, gimbal, and vision system calibrations scheduled as regular maintenance for all my drones. I do all on the 1st of the month or before the first flight of the month. I spent my first 20 working years operating a nuclear reactor onboard a submarine so doing routing and scheduled maintenance is now built into my brain. I also have a 30-mile rule, if I travel more than 30 miles from my last flight location, I do both a compass and IMU calibration on the aircraft before the first flight. Perhaps a little paranoid but the extra 20 minutes is a small price to pay compared to repairing or replacing an $1500 aircraft. Hi Chris unless my aircraft is unbalanced or get error or msg to calibrate I do not do, and when I did calibrate IMU, I do room temperature. I only calibrate compass each flight. I was always led to believe that less is more when it comes to calibrating the IMU. I usually check to see if I’m operating in the green and if so, I leave it alone. The times that I have calibrated it, I’ve left the props on. Same with the compass….if it’s good, I don’t mess with it. I just calibrated mine about two weeks ago, I’m trying to fix the crooked flight of the V2. I did the calibration on a perfectly level table inside the house, I put the UAS in the basement for a while to get it cold. I left the props off, although I’m sure it doesn’t matter at all. My V2 still flies crooked at under 100 AGL. My IMU calibration technique has evolved. Lately, I have tended to launch from near the same exact point for “practice” so I don’t redo it unless I change location. Otherwise, I calibrate every time I change location. I always take the props off, just think it’s less awkward, and it slows me down and makes me think about my pre-flight checklist. I’m a little clumsy though, always worried about breaking the props. Hey that could be a training video: how to do IMU without removing props:) Have not considered the temperature issues, it gets to 120 here in the summer though, should I? I calibrate the IMU infrequently. Usually only if I notice the horizon line is not level. I heard one popular drone dude say he calibrates IMU before every flight. As can you see by the comments above, there are some varying opinions when it comes to calibrating your IMU. Some say if it’s not broke, don’t try and fix it, while others are suggesting doing it before every flight. I think that doing it, over not doing it at all is a good idea, but make sure that you do it in an interference free area. Keep it away from all metal, bluetooth, watches, cellphones, power-lines, vehicles, rebar, and anything else that you think could cause interference. Also to answer a few of the above questions, yes temperature can play into your IMU calibration. I’m not 100% sure about high temperatures, but colder temperatures definitely have an effect on calibration and allowing your drone to operate in cooler weather. 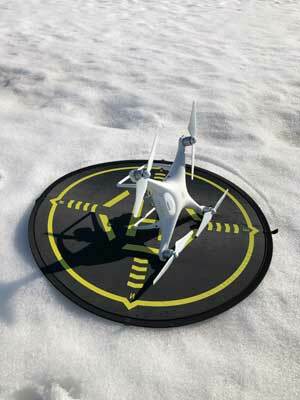 I have a full article on winter drone flight tips, where I discuss the benefits of calibrating in a cooler environment. As I don’t live in a screaming hot place, I’m looking to you to let me know if you’ve experienced differences in calibrations in high temperatures. After reading all of the opinions above, what do you think? 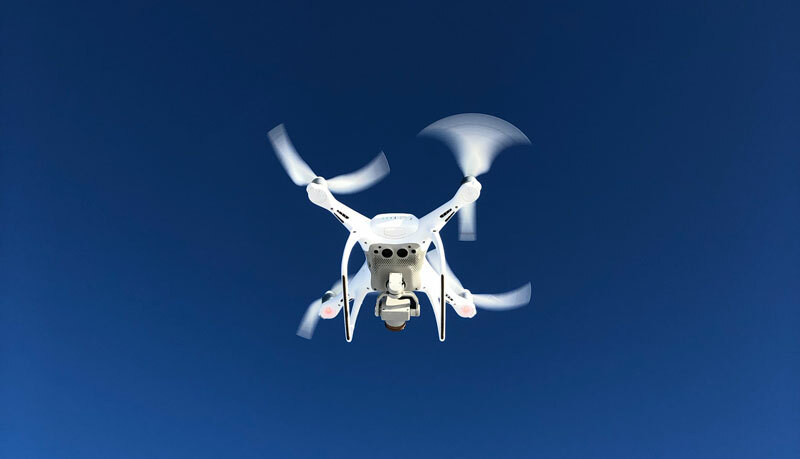 Are you going to modify the way that you conduct your drone’s IMU calibration? Or are you going to keep on keeping on? Regardless, let us know below in the comments so that we can keep on learning from each other! When you’re finished leaving your comment, get out there and fly! Have fun, and be sure to keep the spinny side up! DJI Go 4 shows compass error almost every time it starts. I’ve been turning the bird with the props on and that seems to work ok even with my cellphone in my pocket. Just annoying as I was told it was only necessary if you went more than 50 miles from last recalibration location. Hey Dan, can you try and calibrate without your phone in your pocket? I think you’re correct in not needing it every time, but the key is getting a solid calibration done once, and then it’ll hopefully be able to hold onto it. Hey Jim, thanks for your comment and I’m glad that you liked this article and podcast! There is a bit of confusion between IMU and compass, so I think I’ll do a compass one next!